This article lists 5 great gift ideas for newborn babies so you can get the parents-to-be something they will really appreciate. Once a newborn has graced the world with their presence, there’s no turning back. All you can do is welcome them and provide them with all the love, care and attention you can give. When it comes to buying the perfect gift for a newborn baby, many people struggle to think what might be appropriate. Normally, clothes are on the top of everyone’s list but that’s just it. It’s on everyone’s list. You want to be different and make sure the mother and father have things they will need but won’t necessarily get as gifts from friends and family. Going out of the way to put extra thought into your gift shows you truly care about the new life entering the world and will leave a lasting impression on the parents. So, are you stuck for ideas on some of the best gift you can buy a newborn? Looking in the right place can be a good way to get some good ideas. The Baby Gift Box Company is a prime example of inventive and helpful gifts for babies. 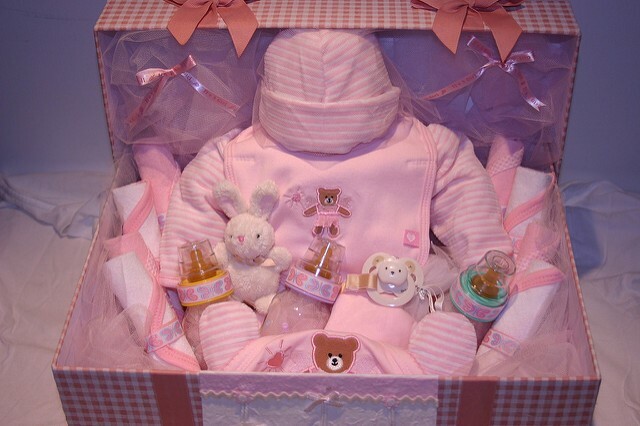 Their selection of funky baby hampers and boxes will allow you to present to parents a mixture of gifts in one compact set that comes at a reasonable price. This creative gift has been designed to recreate the motion of a mum or dad cradling their baby. On a basic level, it’s a chair that has 5 speed settings so the baby can enjoy their sleep or get ready for play. You can also change the angle to a more comfortable setting for you and the child. On top of this, the chair comes with different sounds to help soothe and keep the little one entertained. It’s a fantastic all-rounder that achieves multiple things in one! This is another inventive gift which encourages the baby to start feeding themselves from an earlier stage. This speeds up the development as they intuitively start to hold onto the handles and learn from their experiences. No nursery would be complete without these! Get your babies playing and building all sorts whilst slowly familiarising them with the alphabet. You can also get blocks with animal images and numbers on if you wanted to think outside the box. This gift is something that lasts for years to come and can even be passed down the line! Give the newborn baby nothing but the best. Anything organic will go down well in their parents’ books and, more importantly, will be kind to the baby’s skin too. These handy little towels keep the babies nice and wrapped up after a bath. You can find plenty of funky designs with natural and organic cottons. This soothing gift helps babies enjoy their toy whilst gently lulling them into a peaceful slumber. As the elongated rattle has 16 gentle tones, the newborn will have plenty more calm spells and keep entertained. Hopefully I have listed some fun, quirky and different baby products that would be perfect for any newborn. The great thing about these suggestions is that they are slightly more unusual yet still essential gifts that parents and babies will treasure. So, make sure you remember this list next time you hit the baby stores!